The foundation of my design philosophy stems from an appreciation and respect for nature and my experiences over the years from having had the opportunity to work with such golfing legends and qualified professionals. The golf course should be integrated into its natural setting not only by utilizing existing features but also by mimicking the landforms and natural elements around it. The course must also function, so it aids and enhances the eco-system it is contained within. 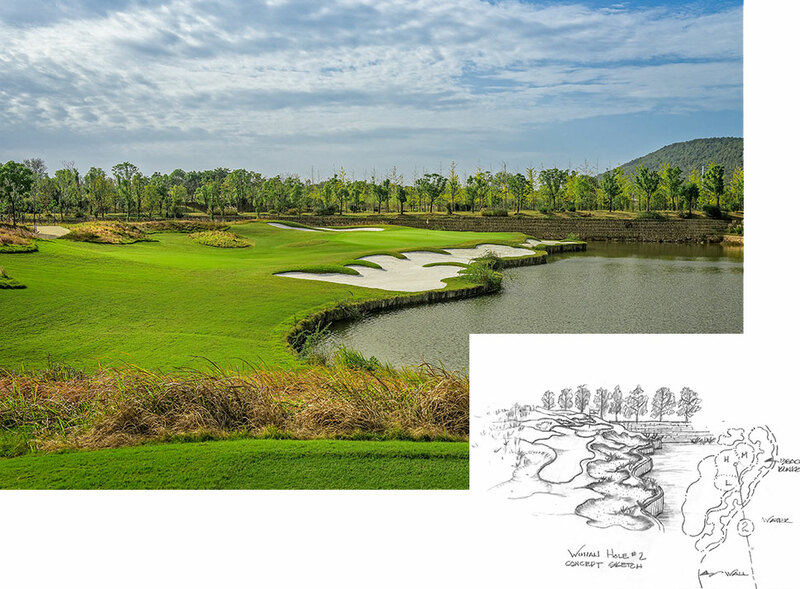 This is done with sound design principles that not only incorporate but create drainage areas, wetlands and water features and vegetation to produce a memorable golfing experience. Golf is a very visual experience, whether on the tee, the green or somewhere in between, the visual elements of the golf course, bunkering, water features, vegetation or contrast in texture and color must be maximized in order to add to the over-all golfing experience and the success of any project. Perhaps the core of golf course design is the ability to test golfers of all levels in a way that is challenging, unique and enjoyable. Each hole should have its own identity that when tied together, unfolds into a complete and memorable story. The course should be playable and enjoyable for the majority of the golfers, most of the time. The layout should consider the wind, the angles of the sun and the topography all to create variety in the golfing experience. A good set of construction plans and documents are important factors in the design process; they are the key to permitting, budgeting, scheduling and controlling the design integrity. But no matter how good your base information and plans are, the design potential can only maximized by being involved in the field. It’s important to analyze the site before and during construction in order to take advantage of unique opportunities and features that may arise. The details make the design complete.